Beware: This is an Alpha release! 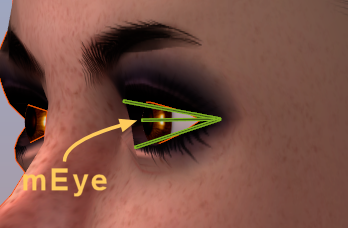 When you weight your custom eyes to the mEye or the mFaceEyeAlt bones, then scaling the eyes with the eye Size appearance slider now also affects the size of the mesh eyes. The Eyelid joints (mFaceEyelid…) have been moved to match the Eye joints. 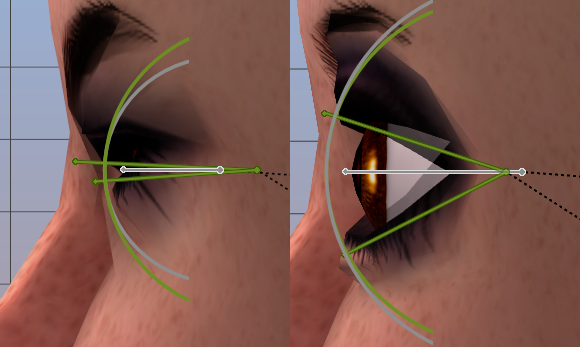 This was made to create more consistent Eyelid animations based on rotations only. 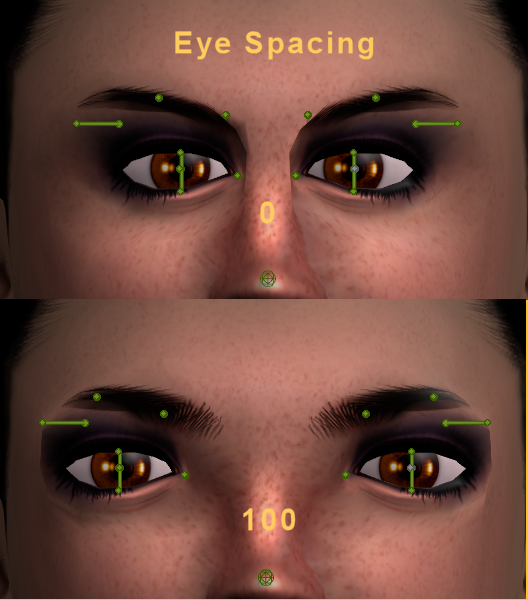 The Eye Size slider introduces a small offset on the mEye bones (grey in the image). 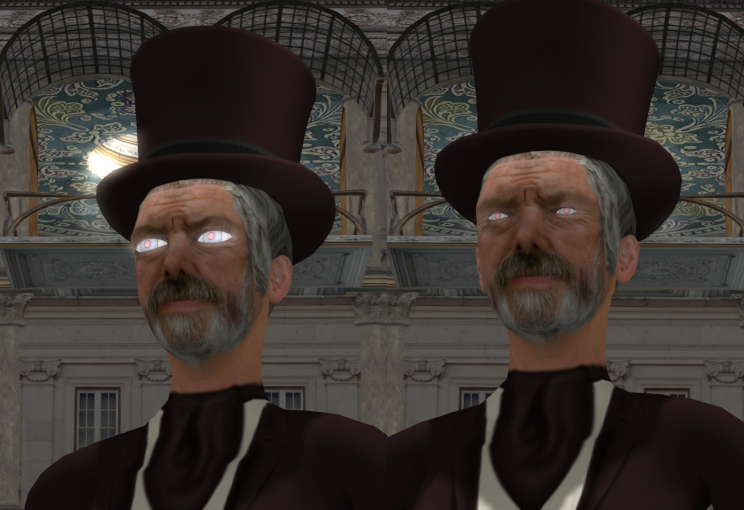 We have chosen to not add translation to the eye lid sliders. The Eye Spacing slider uses translations on all eye related bones. We have not found any good way to replace this by scaling without distortion (scaling would change the size of the eye sockets and the eye lids). 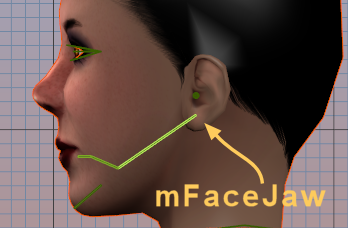 The Jaw joint (mFaceJaw) was moved to an anatomically more correct location. This was made to provide better movement of the mouth area when opened using only rotation animations. Lower Teeth (mFaceTeethLower) now parented to the Jaw bone. this was made to provide anatomically correct behavior. Note: To get good slider behavior you should weight the lower teeth to the lower teeth bones and the upper teeth to the upper teeth bones. 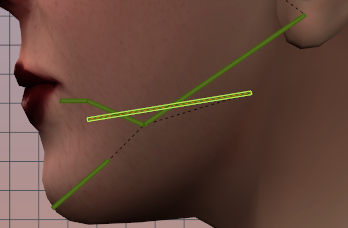 If you decide to weight the teeth to other bones, the slider behavior is not predictable. When you create a new Avastar character, then its head reacts to the sliders differently than in SL. But when you create a custom mesh head (even a clone of the Avastar mesh) then it behaves correctly. When you edit a mesh (add/remove verts) while sliders are enabled, this can lead to very odd behavior when you change back to object mode. Best is to disable sliders when you attempt to add/remove verts. Moving verts should be ok. Don’t forget to bake changes into the mesh before you leave edit mode. when you disable/enable the sliders it can happen that the eyes pop out of the face. When that happens, then in most cases it is sufficient to enable the sliders again. Then the eyes snap back where they belong. disable sliders and keep them disabled! When you export, then export without joint positions. This will export the skeleton as it is. 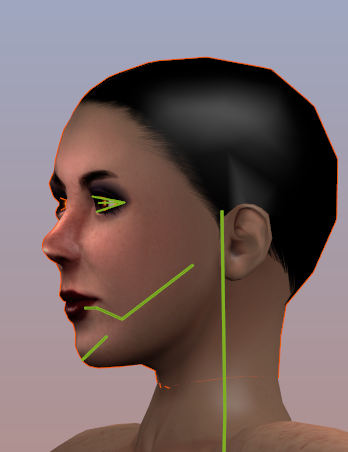 SL figures out on its own which bones need to get joint offsets. When the joint position editor is ready it will become possible to use the sliders AND define joint positions. What videos are needed most ?